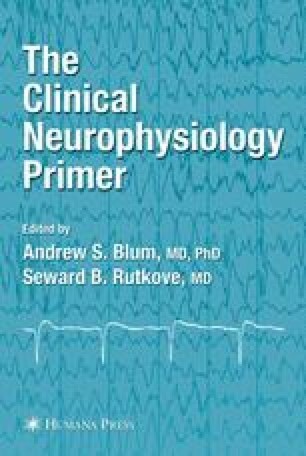 A basic understanding of simple electronics is vital for the student of clinical neurophysiology to better understand how we begin to analyze neurobiological systems. The elements of basic circuits have relevant and tangible application to the way in which we model the behavior of neural systems in the laboratory. This chapter helps to define and assemble these varied circuit elements for the student. This base of understanding is then used to illustrate how simple electronic circuits can filter and amplify biological data. The composition and behavior of commonly used electrodes are discussed, as are the varied montages we use to record and/or display the measured data, as in an EEG. Attention is devoted to digital signal analysis because modern clinical neurophysiology increasingly relies on digitasampling for ease of data analysis and storage. Lastly, electrical safety issues are considered, particularly as they apply to the clinical neurophysiology arena.